Have you been following along with the F1 in Schools story? 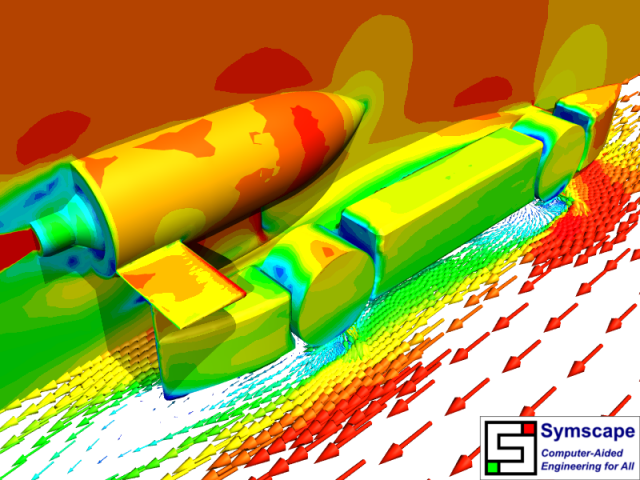 It started way back in February with the first Caedium CFD analysis of Basilisk Performance's CO2 rocket-powered dragster. Now we have the concluding episode with the team's results from the F1 in Schools 2010 World Finals. Also noteworthy this month: we have added a tip on Caedium's particles, and you'll find a couple of new blog posts. No particular theme this month, but some interesting updates never-the-less. 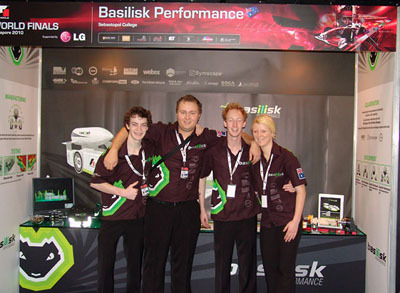 With the F1 in Schools World Finals over I can reveal the CFD work I did for the Australian team Basilisk Performance in their bid to become world champions. 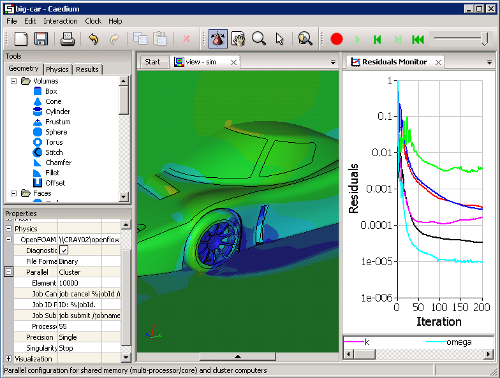 Also hot from the Symscape lab you can read about performing Caedium CFD simulations in the cloud. 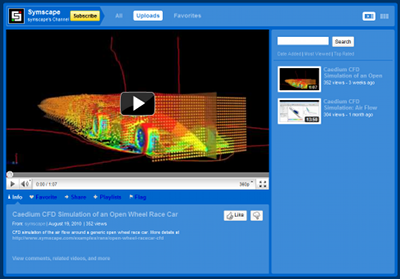 To round out this month's news I have also posted a new tip on simulation controls. 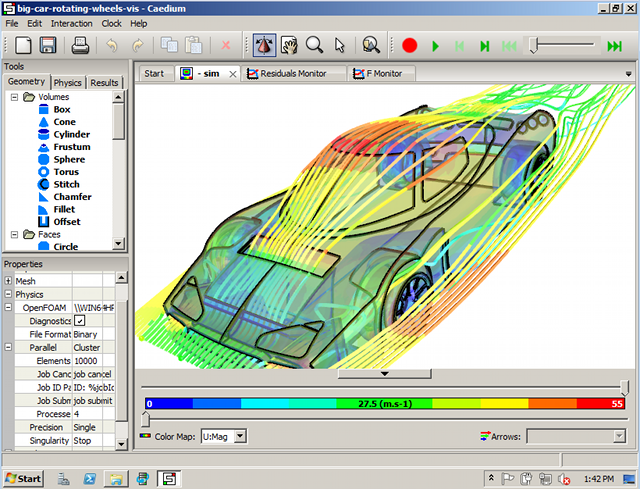 Big news this month is a new release of our free Windows patch for OpenFOAM® with 64-bit and parallel capabilities. This is a precursor to providing the same capabilities in the Caedium RANS Flow and Professional add-ons (see sneak peek screenshot), but that's likely next month's lead story. Also check out the latest developments in our our website infrastructure and a blog article with a geeky theme. This month I've been working hard on the next release of Caedium - all I can say at the moment is that soon you'll be able to run larger simulations faster...stay tuned for updates. In other news, I've launched a new poll and I've wrapped up the CFD novice-to-expert blog series - keep reading for more details. Not sure whether you want to commit to a full year Caedium Professional subscription after your 30-day free trial ends? Well you’ll be pleased to know that now you have the option to purchase per month and per quarter Caedium add-on subscriptions. 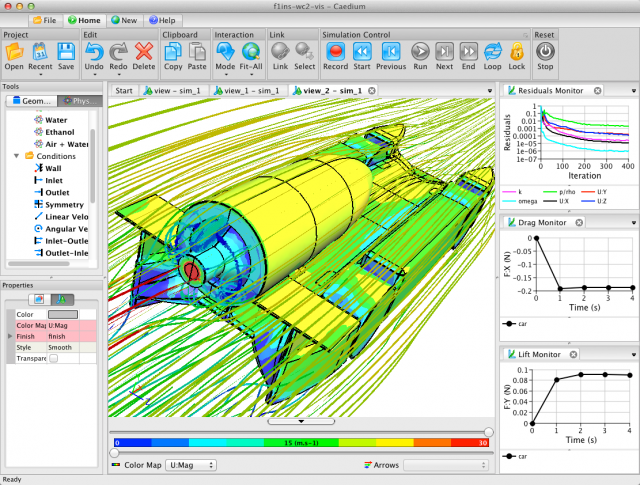 Ever wondered what it takes to become a CFD expert? Then have I got a series of blog posts for you. Keep reading and all will be revealed. Hope you can keep up with this month's high-octane newsletter - prepare for a thrilling race car theme. 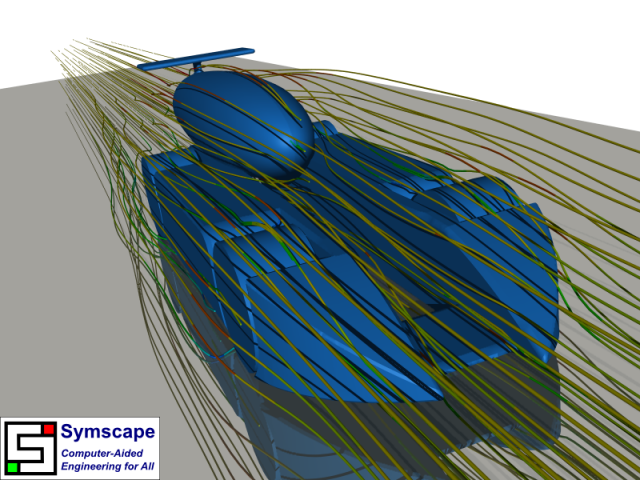 You'll find new examples of complex Computational Fluid Dynamics (CFD) simulations over different types of race cars, and discover how Symscape helped an Australian team win a national F1 in Schools championship. Also there is more coverage of our recent Caedium for the Mac release, and some light relief in our April Fools' Day story about Caedium on the iPad. We are back in full flight this month after last month's Florida trip - nothing like a New Hampshire winter to help you focus on work just to keep warm! For all those Apple fans out there - read about our progress towards a native Mac OS X version of Caedium. 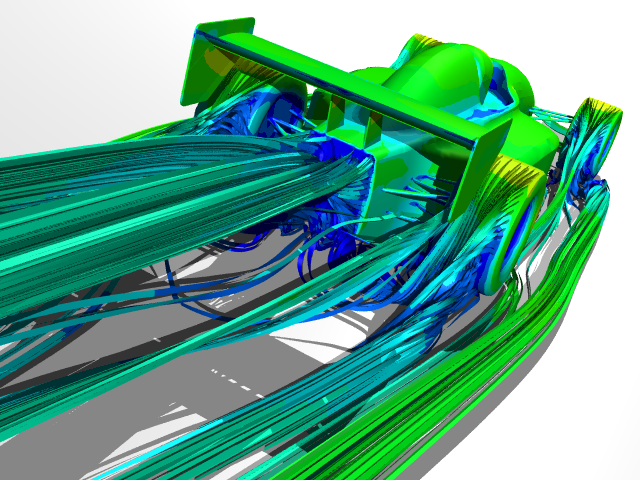 Also check out our Computational Fluid Dynamics (CFD) simulation of an F1 in Schools CO2 jet-powered dragster. And if that isn't enough, there's always the latest blog posts.